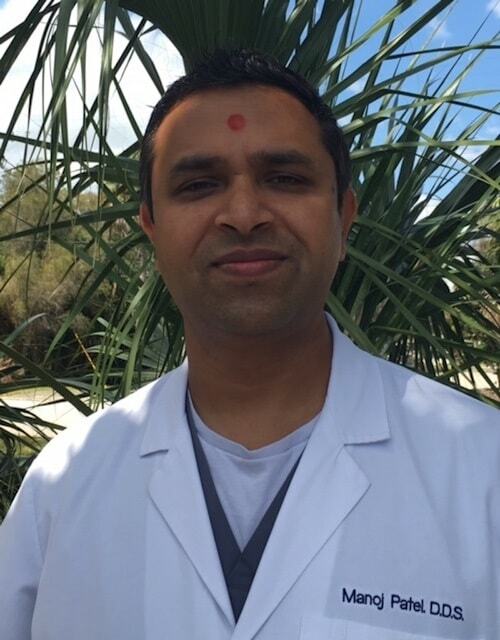 Dr. Manoj Patel earned his dental degree in India and practiced as a General Dentist until 2002. He later moved to the United States to continue his passion for dentistry. He earned his Doctorate of Dental Surgery from the University of Florida and is a Gator fan. During his dental education at the University of Florida he completed various certifications in implant placement and Invisalign. Dr. Patel treats all phases of dentistry from simple filings to full mouth reconstruction. Dr. Patel joined the Christie Dental Practice Group in 2010. When Dr. Patel is away from the office he enjoys hobbies such as volleyball, tennis and cricket. He is actively involved in charitable dental camps and various cultural and religious activities in Brevard and Orange County. He is an active member of the American Dental Association (ADA). The Florida Dental Association (FDA), and the American General Dentistry Organization (AGD).